Compact-It sells, rents, and leases new and refurbished waste removal and recycling equipment; commercial trash compactors and balers. Is money tight? Very often, if you rent or lease, No Down Payment is required! We make it easy to do business with us! 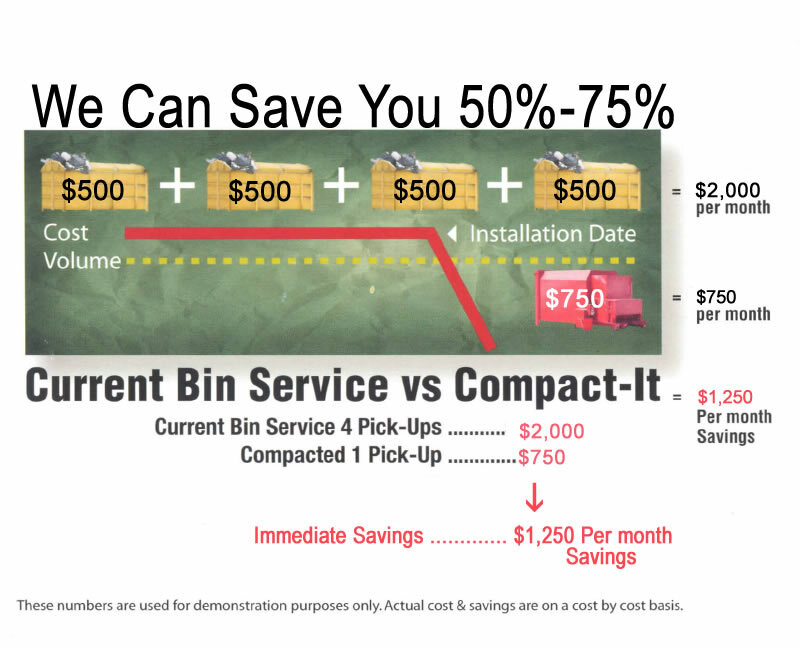 Compact-It can usually reduce your trash hauling bills by approximately 50-75%. Huge Savings are available! Cost reductions can be hundreds and even thousands of dollars per month. Our equipment can save you money, reduce offensive odors, bee, fly, and rodent population and in general keep the area cleaner and safer for your employees. See Compact-It’s Low Cost Full-Maintenance Rental Program. Affordable Horizontal Heavy Duty Balers – Fit just about anywhere! Order with or without a conveyor. 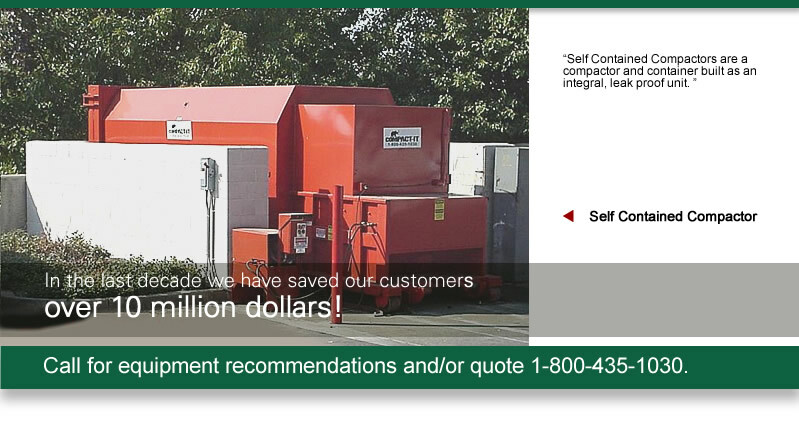 Compact-It delivers and installs waste removal equipment across the country. We include training to insure proper use of all of the equipment we install. We work with the small or large business sector, school districts, government agencies and utility companies, and have saved our customers millions of dollars. Let us help you save money too. 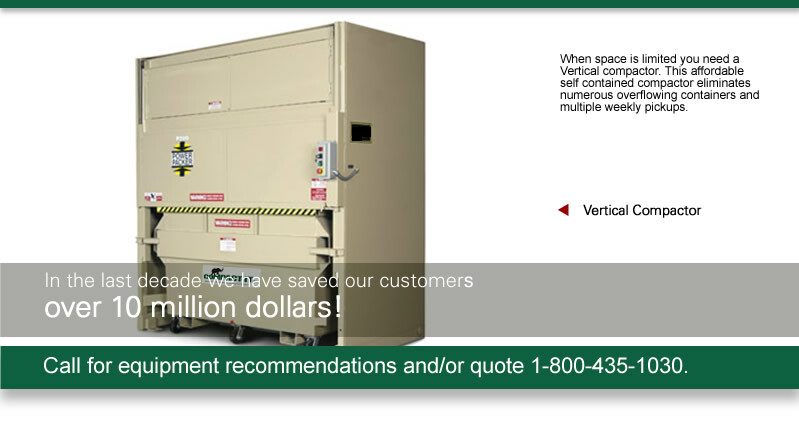 We have installed commercial compactors and balers at school districts, hospitals, retail & commercial centers, hotels, large grocery chains, restaurants, elderly care facilities, industrial plants and complexes, distribution facilities, and small businesses. We have the expertise and knowledge. 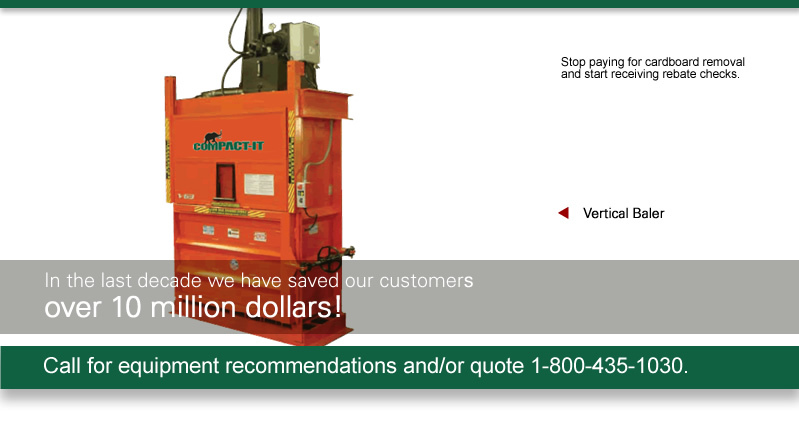 Inquire about Compact-It’s “No-Investment Full-Maintenance Rental Program.” This program gives our customers the benefit of using a compactor without any initial capital investment, and makes the savings available right away. 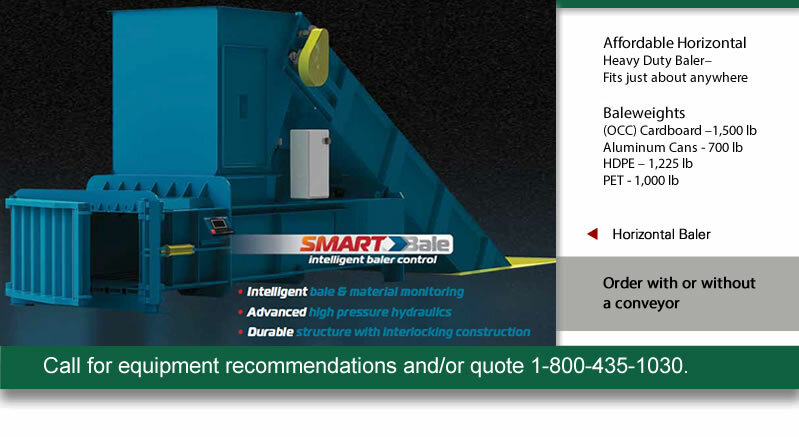 Contact us for equipment recommendations or quote at 1-800-435-1030.